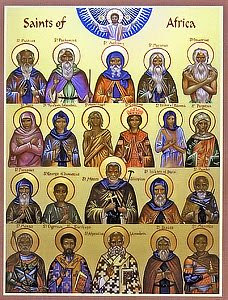 This is a favorite project of ours for Sunday of Orthodoxy during Great Lent. It is particularly relevant, as many parishes join together, across canonical jurisdictions, to co-celebrate the Divine Liturgy, sometimes in many languages. As a global Orthodox project, I recorded fellow classmates from an Orthodox seminary chanting "Lord Have Mercy" in their native languages. With a large map, I ask the children to identify the country of origin and language for each track... together we try to learn 10 new languages! You can also quiz them with the handout, to see if they can match up the language with the countries. 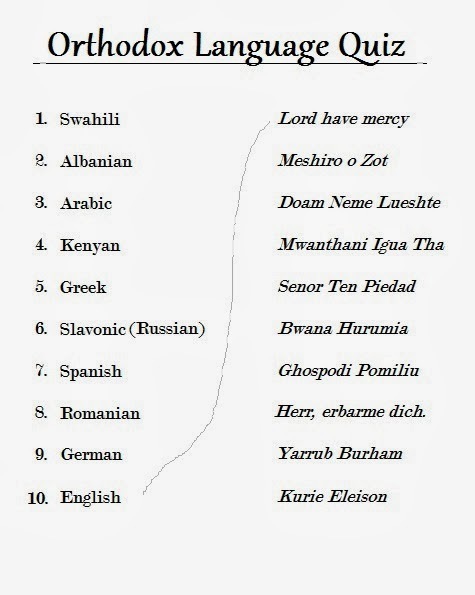 Romanian: Doamne(Lord), miluieşte (have mercy)!